Grapefruit Seed Extract is great for my Immune system. Seems to work well for my son who is quite sensitive to many similar supplements. 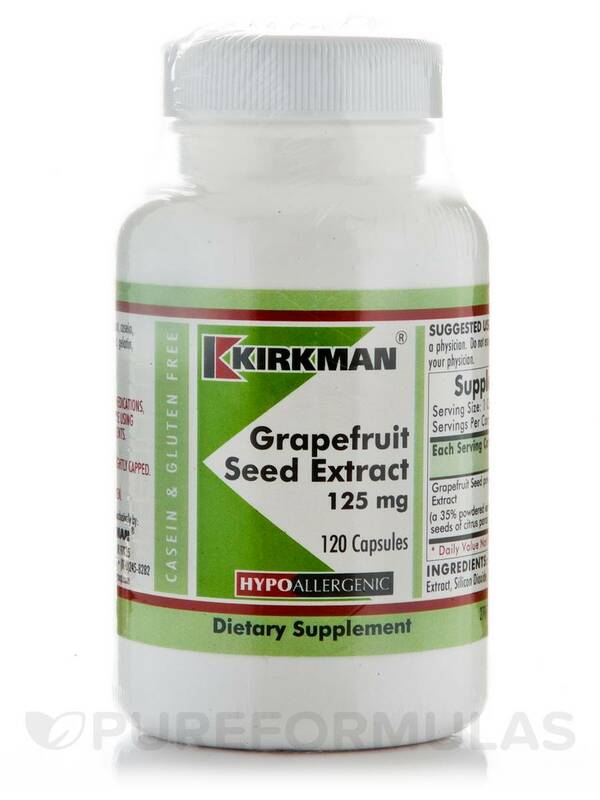 I have been using Grapefruit Seed Extract 125 mg Hypoallergenic by Kirkman for several months with good results! 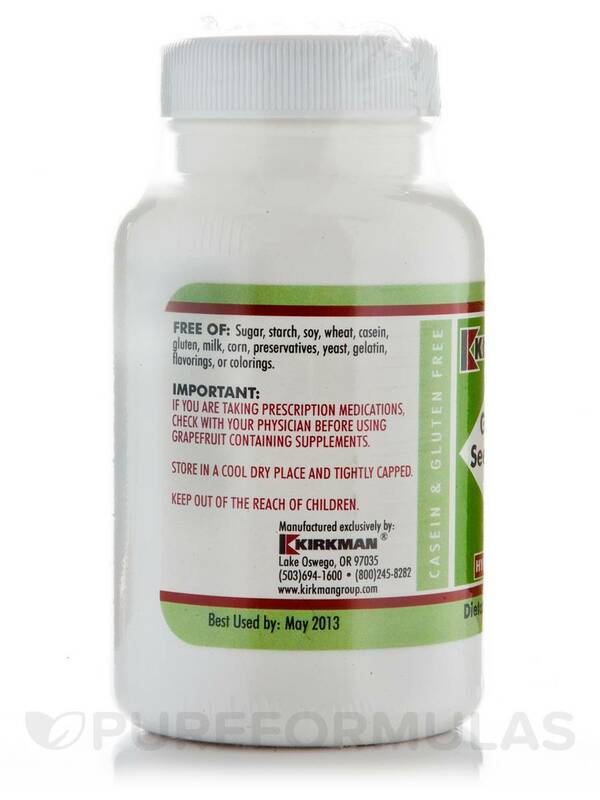 Kirkman® manufactures Grapefruit Seed Extract (GSE) capsules at the request of physicians and health care practitioners who use GSE orally for gastrointestinal support. This is a hypoallergenic product formulated for individuals with special requirements and sensitivities. 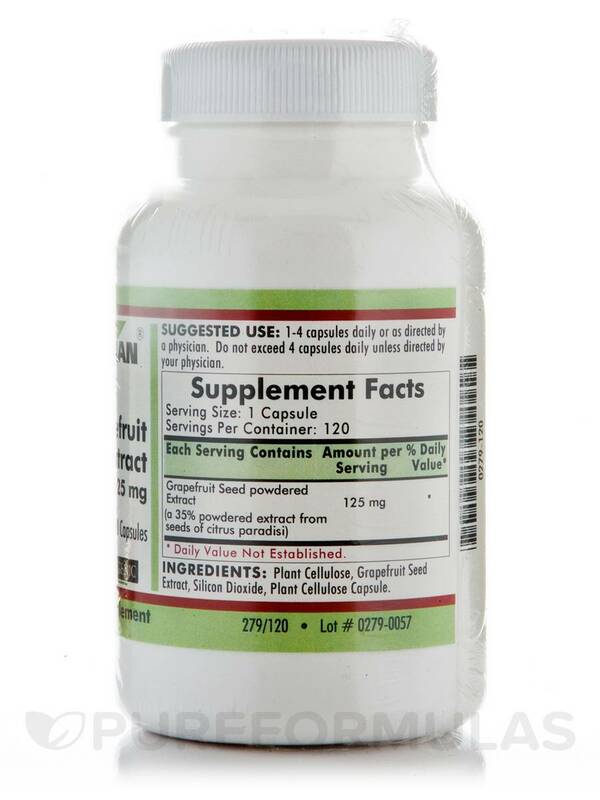 Our Grapefruit Seed Extract is offered as 125 mg capsules. Plant Cellulose‚ grapefruit seed extract‚ silicon dioxide‚ plant cellulose capsule. 1-4 capsules daily or as directed by a physician. Do not exceed 4 capsules daily unless directed by your physician. If You Are Taking Prescription Medications‚ Check With Your Physician Before Using Grapefruit Containing Supplements. Great product!! And great pricing. I tried Grapefruit Seed Extract 125 mg by Kirkman at my doctor's recommendation and it seems to be making my system more regular as I try to get rid of the excess yeast in my system. Pills are an easy size to swallow. Grapefruit Seed Extract by Kirkman seems to be helping! We have been using it for more than a year. This with Oil of Oregano has kept my son out of his regular yeast and tummy issues. And Service from Pureformulas was good.